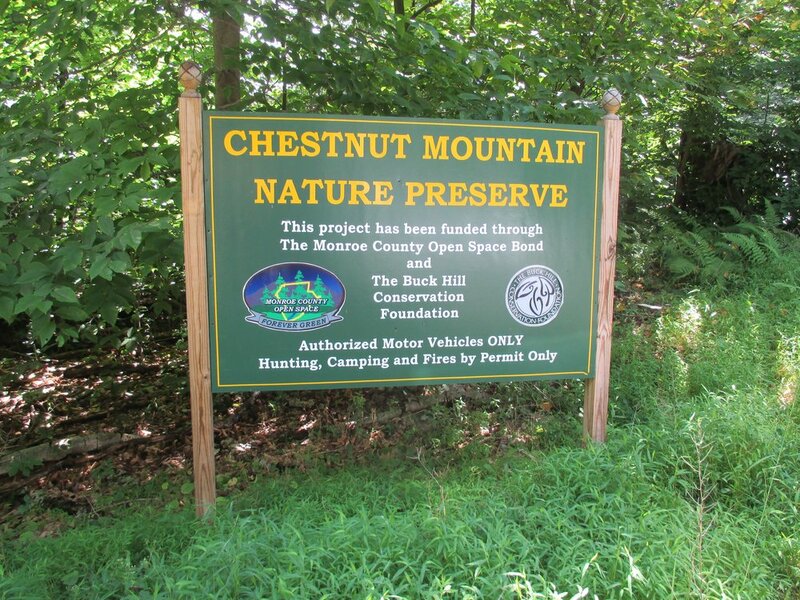 Chestnut Mountain trails feature educational signs about forest regeneration. The 2.8 mile Blue Trail has a scenic vista at the overlook. The 1.2 mile Red Trail takes hikers shows characteristics of a healthy forest.